Our team consisting of former FBI agents, Certified Public Accountants, Certified Fraud Examiners and Private Investigators has the experience, understanding and investigative abilities to unravel the most complex fraud schemes. We use our expertise in analyzing financial records, accounting systems, and internal controls to identify likely suspects, the methods used to perpetrate the fraud and the amount of the loss. In some cases, we also leverage technology to review large quantities of transactions, correspondence, E-mail, computer files and hard drives to gather additional lead information and evidence. We then follow up this technical analysis of the financial records with our skills as seasoned investigators to identify and interview individuals with knowledge concerning our findings. 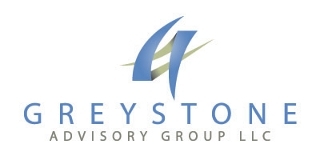 We believe that it is this "boots-on-the-ground" investigative phase that differentiates Greystone from our competition. 1. In addition to looking at the numbers and the financial records, we conduct in-depth interviews to develop critical information to provide us with a road map to the issues, the relevant financial records, and often the persons responsible. Financial Auditors generally rely on management interviews and statistical sampling to develop a level of assurance that there are no financial irregularities. If we have been engaged, there is already at least one example of a serious problem or defalcation. We use what we learn from the unauthorized transactions already identified to develop methodologies to identify all other fraudulent transactions. Statistical Sampling is not an effective or efficient way to identify additional examples of fraud. 2. We utilize specialized investigative techniques, databases, software and other resources not generally available to financial and internal auditors. 3. Collectively, we have worked hundreds of fraud cases and have come face-to-face with guilty people many times. As a result, our forensic accountants and investigators know not to rely too heavily on statements made and documents provided to explain suspicious activity. Financial and Internal auditors who do not have this experience will often give a suspect the benefit of the doubt and are often uncomfortable interviewing possible suspects and confronting guilty parties. 4. The secret to uncovering fraud and deceit is simple: Due Diligence. We work hard to verify all statements, documents and other representations made by suspects, subjects, or the public statements of corporate entities. Financial and Internal auditors are most concerned with documenting their workpapers, and are generally under time constraints that make it difficult or impossible to conduct the same level of fact finding and verification that we employee. 5. In many cases, and with client approval, we will refer cases to the appropriate authorities for investigation and prosecution. We have many contacts in the law enforcement and prosecutor communities. Internal and Financial auditors do not have the contacts and experience to present a case to a law enforcement agency or a prosecutor in a manner that raises the likelihood that the case will be criminally prosecuted.